Bowling alleys are curious places. In 2013 it's acceptable to have a disco setting, complete with flashing neon lights and blaring music, often 80s and 90s rock and young people who weren't alive in either of those decades having a good time. They are all flippantly unconcerned about "Smells Like Teen Spirit" being two decades old, and those who remember that time are too concerned about that fifth gutter ball in a row--this writer, for example. Like any good time-capsule, a bowling alley is a great place to celebrate great achievements and capture the aura of enthusiasm, whether it be a memory of the past or the ability to help those in need. 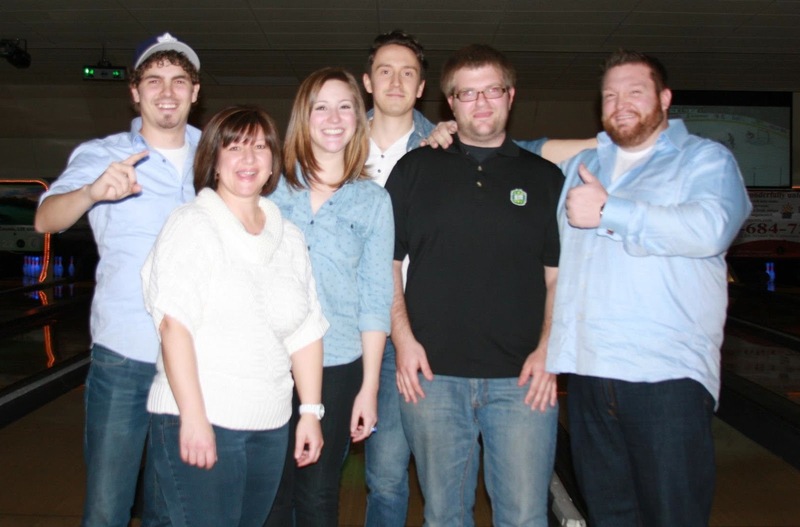 This past Saturday evening at Parkdale Lanes in St. Catharines, Ontario, members of the JUST JUNK Niagara team took part in Tim Horton's and Big Brothers and Big Sisters Bowl 4 Kids' Sake event. John "The Hammer" Netherway from Hammer and Chew even made an appearance. While we bowled, the fundraising event was raising funds to support mentors for children in need in the Niagara Region. The team didn't have the best scores of the night--with scores that were probably too embarrassing to mention, but we're happy that our fundraising wasn't directly related to our bowling efforts. Over the evening Steve Adams earned the nickname of "Twinkle-Toes", but even with such excellent form, Steve succumbed to the same fate on the lanes we all fell to. We were happy to support Big Brothers and Big Sisters with their event and so appreciative to play a part in the event this year!